JosephM applied a couple of fixes to box pointers from our GNOME cousin. Yet another little touches which we all like! That’s why many of my friends (Windows users) are just amazed when they see Mint. ;) Keep up, Clem, and also keep improving the Cinnamon perfomance (I have integrated Intel GMA 4500M and after every new version the perfomance is improving). There’s more performance improvements in the works. We’ve a pull request which further reduces CPU wakeups for instance. Keep up with the improvements, Cinnamon will be one of the few DE’s which is great looking and resource friendly. Is there any plan to improve rendering speed of UI as well? 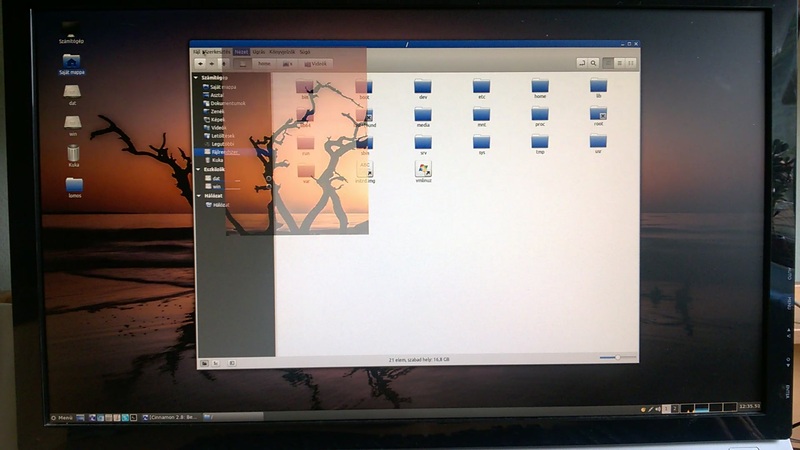 On old machine (Core 2 Duo + Nvidia) the the software rendered Mate runs smoother than the hardware accelerated Cinnamon. Do you use nouveau or the proprietary nvidia driver? I could record a picture about a problem. When I quickly browse the menus, sometimes I see a flickering background. Maybe this unnecessary step slows down the rendering speed. Also, wanted to say that you and team are doing tremendous work with Linux Mint. I can’t imagine going back to a ‘stock’ Ubuntu. Keep up the great work! Kudos to JosephM. I concur with Georgi- never in a million years would Windows issue such a ‘trifling’ improvement- but it’s exactly this attention to detail that compounded over time produces an OS that feels so great. You’re right: Windows wouldn’t issue a trifling improvement. But I believe it’s because the Windows UI is polished to begin with. They have lots of UI developers on their staff. Please know this about me: I love Mint and use it daily. I rarely boot into my WinOS. This is really great, but does a flat borderless theme is planned for the next version of Cinnamon? Thanks for your amazing work Clem! A default theme that looks like Windows 10 would be, in my opinion, a big step backwards. I’ve used Windows 10 a little and have helped others trying to adjust to it and the lack of any delineation in visual elements makes things confusing and harder to find. I hope the Cinnamon team will continue developing a usable UI without worrying about mainstream trends. This seems to have improved the situation, but certain Web sites still mangle the desktop image. Would it be possible for the Cinnamon team to let users know their position on this problem? @MD I found by putting in: Option “TripleBuffer” “1” in the xconf file solved my cinnamon stuttering and tearing completely on Nvidia with the closed driver. In fact everything is now better because of it. I also echo the tlac’s post. The rendering speed of the UI even with full 60FPS tripple buffered content on hardware acceleration is quite a way behind KDE, XFCE,MATE & even Gnome. We are taking perhaps 50ms on each action and still the mint menu even though much faster does not open instantly and has more toward 75ms – 100ms delay. If you press the button a few times sometimes it doesn’t even open.the 3rd part menu extensions run faster than the default menu. Forgot to add. Cinnamon seems to be the only DE that my nvidia driver forgets the refresh rate and resolution or is overridden by cinnamon ? everything on reboot sets itself to auto / auto .Even amending xconf manually as super user does nothing. Conversely logging out and selecting the mint-meta-KDE session I do not get this. HELL no. I prefer (and miss) knowing when a button is actually a button (and knowing just by LOOKING at it, that it IS in fact a BUTTON), and knowing when I can click on it and when it is activated and/or DEactivated. (Like it used to be in iOS6 and before, and in Windows 95, 98, Millenium Edition, 2000, XP, Vista, and 7). That “flat” look pertaining to everything these days (copying back to the days of Windows 3.1) just takes away usability and visually-seeing if something is a button, can be clicked on, canNOT be clicked on, is activated or deactivated, etc. etc. etc. this will put a blow of freshness to linux mint…”).